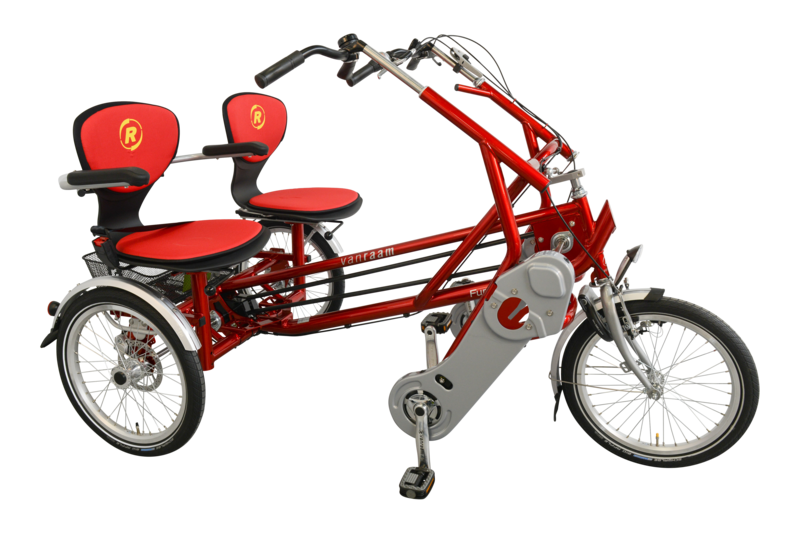 The Fun 2 Go is a special needs side by side trike, or double rider cycle, in which the users sit beside each other. One person steers, both can pedal. The two persons have a good view and can communicate well with each other due to the seats being next to each other. The riders can get on without having to step through and the seats can be easily adjusted to the required distance with a lever. The Fun 2 Go side by side tricycle is enormous manoeuvrable, with two wheels completely in the rear and one fore-wheel it can be rotated round its own axis. swivel seat, armrests and harnesses, crank shortners, foot plates. Prices include shipping, personal delivery, set-up and instruction. V.A.T is excluded as exemptions could apply.